The housing market is slowly returning to normal…slowly. So many homeowners are finally starting to think about selling their homes. But before you call a real estate agent and put your home on the market, make sure it looks the part. 85% of homebuyers will view your home online to decide if it is worth visiting in person. Homebuyers make up their minds within the first 30 seconds after they first see a home. 10% of potential homebuyers cannot see the potential of a home. So maybe it is time to trim those hedges, tend to your garden, and fix that dilapidated fence. The good news is that improving the curb appeal of your home will not only make it easier to sell, but could increase the value of your home by as much as 15-20%. Getting the most for your home means making sure it looks its best. There are more than a few reasons it is beneficial to tend to that old, dilapidated fence. Curb Appeal: Repairing or rebuilding an old dilapidated fence can really overhaul the curb appeal of your home. Conversely, if you ignore that old, dilapidated fence, it could detract from the appeal of your property, making it more difficult to sell. Home Value: A new fence is a major selling point for potential homebuyers. It will not only catch peoples’ eyes, but it will also help you get a better price for your home. 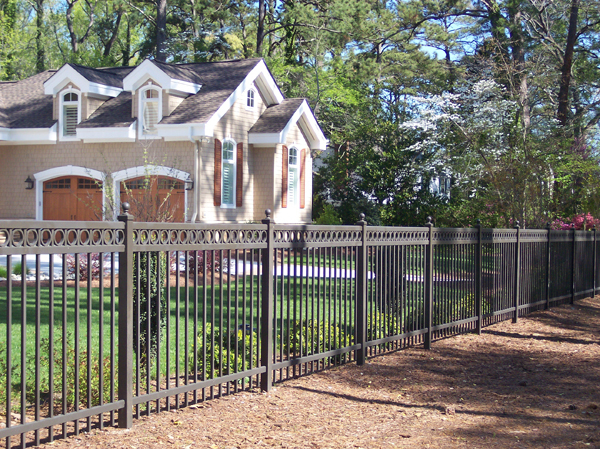 If you have any questions about our blog, “Real Estate, Curb Appeal, and your Fence,” please contact Hercules Fence of Manassas, Virginia today by calling (703)551-2609 or visiting our website. Also, check out Hercules Fence of Manassas on Facebook,Twitter, Google+ and YouTube! This entry was posted on Thursday, August 1st, 2013 at 2:54 pm. Both comments and pings are currently closed.